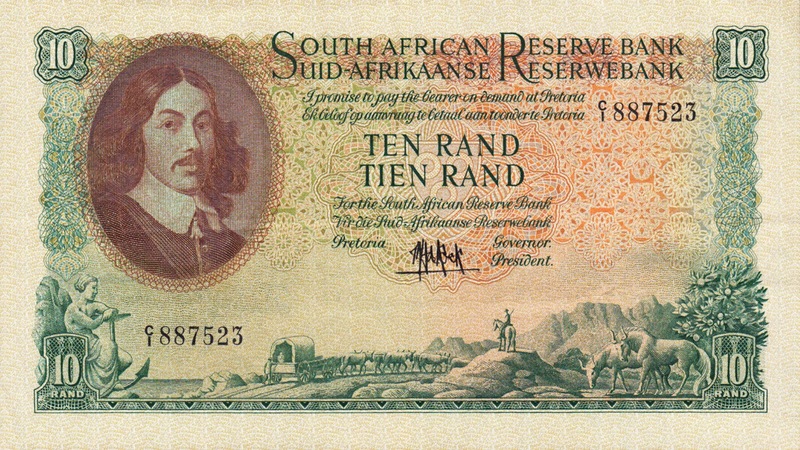 The South African Reserve Bank issued South African Rand banknotes in 9 different denominations, including this 10 South African Rand banknote (van Riebeeck large type). They are part of the withdrawn South African Rand banknotes series. The South African Reserve Bank started issuing these 10 South African Rand banknotes in 1961. 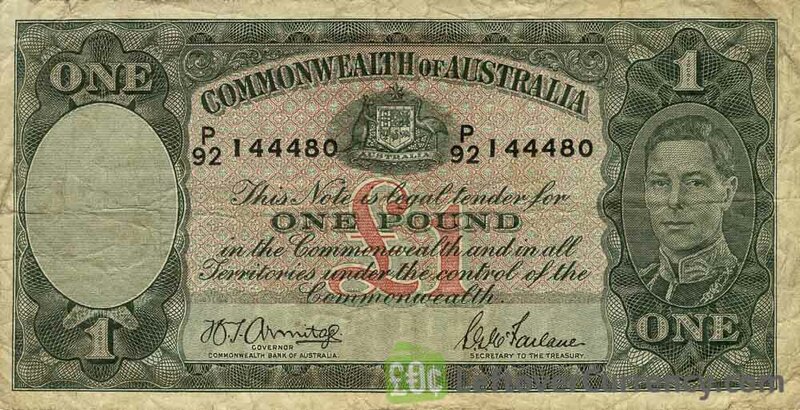 They were withdrawn from circulation in 1966. Older ten rand banknotes like this one are larger than more recent South African rand paper money. This green-brown coloured 10 rand shows images of oxen pulling a cart, a cowboy on horse, two wilderbeests and a woman with anchor. On the back side is the image of a sailing ship at sea. Repeat these steps for any other notes and coins you want to exchange. Complete checkout and get paid within 5 days of receiving your currencies. To exchange your 10 South African Rand banknote (van Riebeeck large type) for cash: add it to your wallet now!